Mizrach which means “east” in Hebrew, has traditionally hung on the wall facing Jerusalem which is the direction that Jews pray towards. 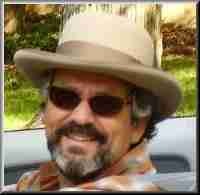 Mizrach is an acronym for Mi-tzad Ze Ruah Hayyyim meaning “from this side comes the spirit of life. Shviti is the first word of the passage in Psalm 16:8, Shviti Adonai Le-negdi tamid which means “I have set the Lord always before me”. 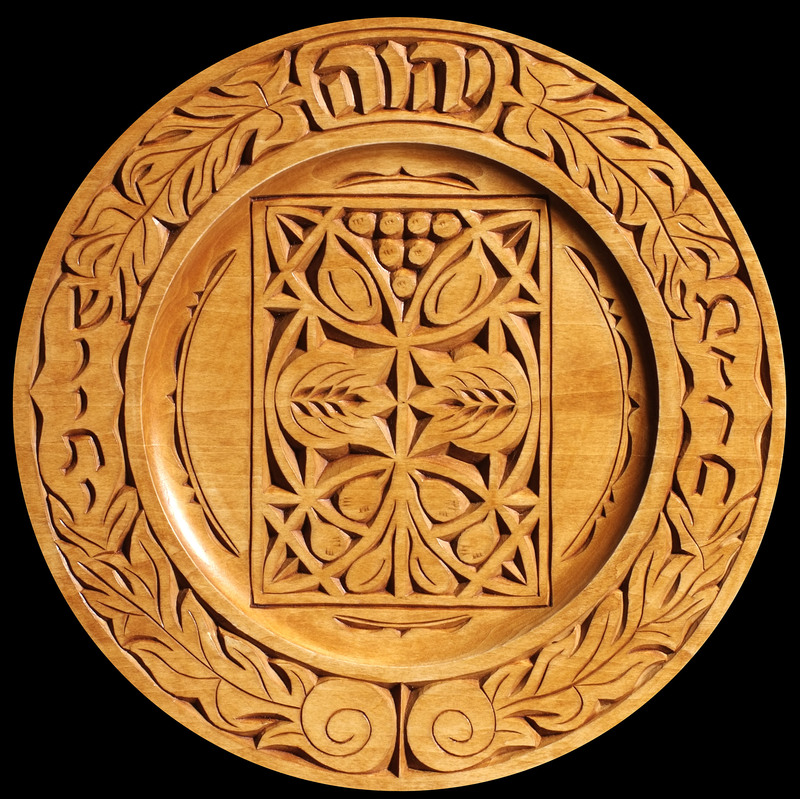 Shvitis often hung in synagogues, but were also used in homes to mark the direction of prayer. I have combined both traditions and carved these words surrounding the Tetragram, the four letter name of God, which remains central to the carving. 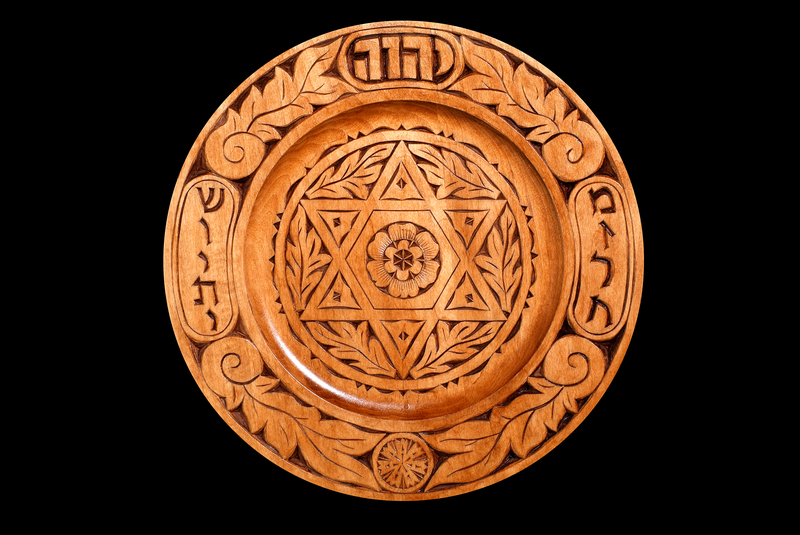 The center of the carvings each feature a traditional Jewish symbols such as the Star of David, the seven species, the 10 Commandments and the Torah Crown. 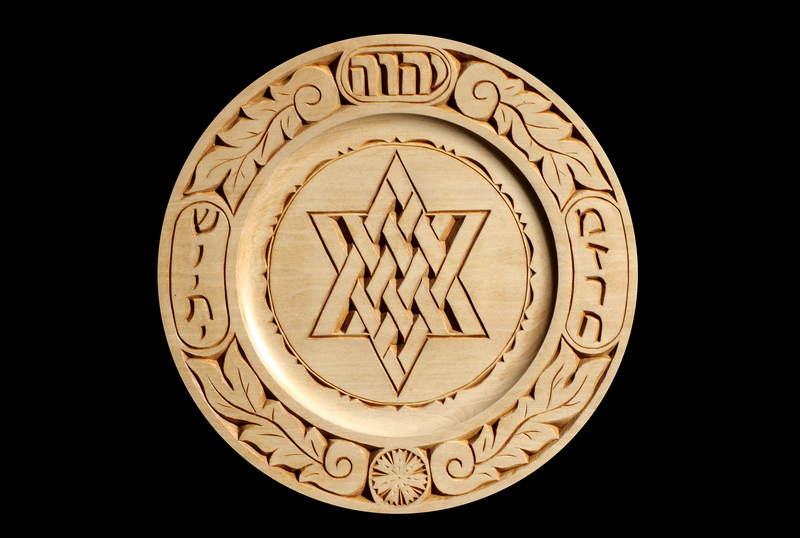 All of these Mizrach/Shvitis are hand carved on a 12 inch round wooden plate using a hand held knife. They are stained, dyed or tinted and finished with a combination of shellac, polyurethane and wax. 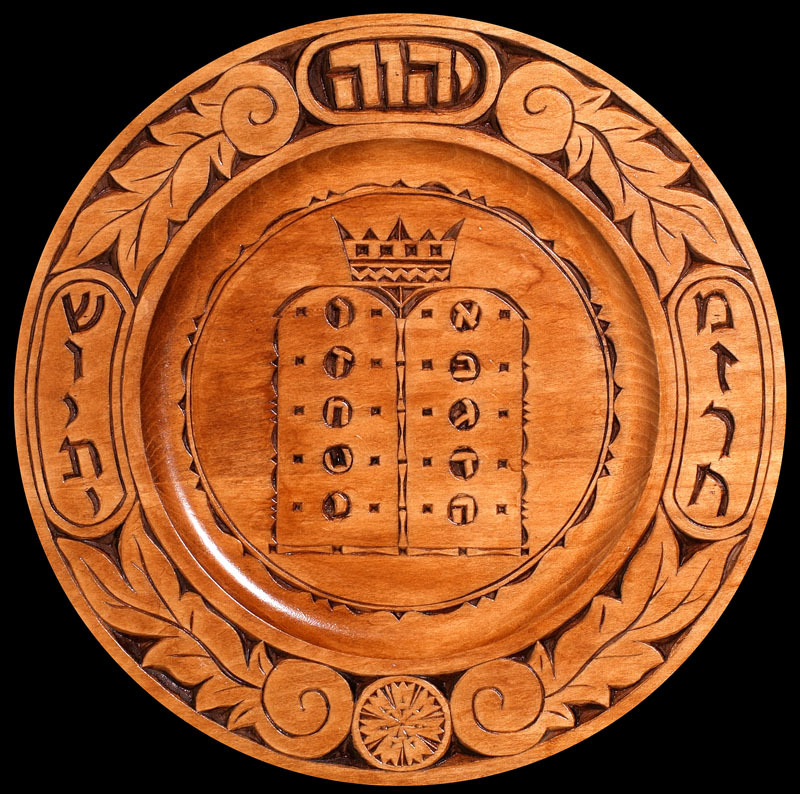 This Mizrach/Shiviti features the Star of David Logo of the Academy for Jewish religion. It was donated to AJR in Honor of Barbara Paris, student organization president and rabbinic student.